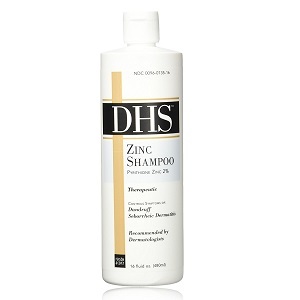 DHS Shampoos provide a product line designed to help each of our customers achieve optimum hair and scalp health. Dermatologist recommended Zinc, SAL and Tar shampoos help protect against a range of conditions including dandruff, psoriasis and seborrheic dermatitis. Shake well before using. Wet hair thoroughly, apply a liberal amount of shampoo and massage into a rich lather. Allow lather to remain on scalp for several minutes. Rinse hair well and repeat application. For best results use at least twice a week or as directed by a doctor. Purified Water, Sodium Laureth Sulfate, Cocamidopropyl Hydroxysultaine, PEG-8 Distearate, Sodium Chloride, Hydroxypropyl Methylcellulose, Magnesium Aluminum Silicate, Fragrance, Citric Acid, FD&C Yellow 6.